The Ozil family pose in their tiny 16m sq home, there are 7 children, plus the parents, mother, Lourdes and father Jessy, 33. 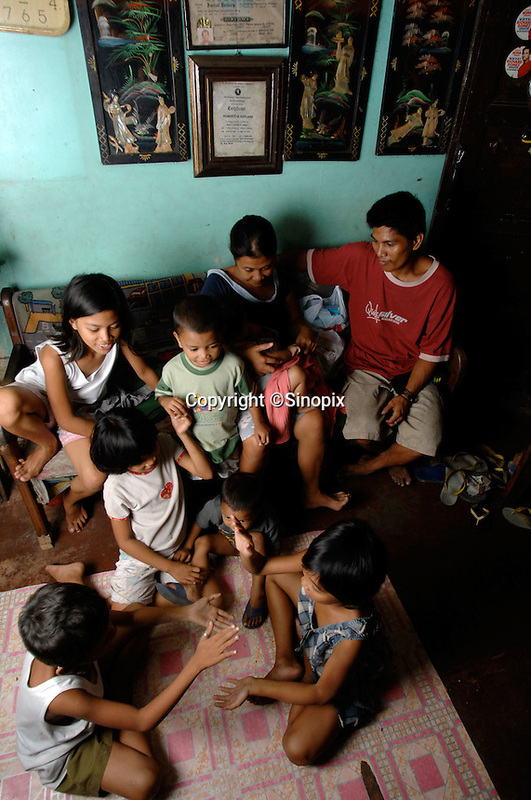 The live in the slum area of Manila called San Anreas Bukid (neighbour-hood) where families commonly have between 6- 12 children. There is no family planning available from the Government due to a law passed by the Mayor and they are too poor to pay for their own contraception.